As the Thanksgiving holiday approaches and we count our many blessings, we are once again reminded of what a genuine privilege it is for all of us at The Robin’s Nest to work with you and your children. With the cooler weather approaching, we’d like to remind you to label jackets and sweaters and perhaps exchange long pants in your child’s extra clothes bag at school. Our Fall Mission is the world’s largest Christmas project of its kind and we need your help to make this a success! Operation Christmas Child uses gift filled shoeboxes to demonstrate God’s love in a tangible way to children in need around the world. The Robin’s Nest is involving our children in this mission project. THEY will be building the boxes and talking in their classes about the difference they will be making to a child in need. There are additional boxes available if you would like to build boxes at home with other children or as a family. Our goal is set for each Robin’s Nest child to build a box totaling 144! Boxes will be built November 5th thru 8th. Each box will be filled for a child between the ages of 2-4 years old. Please place your donated items in the Operation Christmas Child bin, located in the Robin’s Nest hallway. Imagine an interactive circle of kids, all drumming together, holding a common pulse and weaving a facilitated rhythm into a cohesive musical experience. This is what The Robin’s Nest students will be experiencing when Giving Tree Music brings their drumming program to the school on Wednesday, November 14th. Their only rule- “if you don’t drum, you have to dance!!! On Thursday, November 15th, and Friday, November 16th, the children will celebrate Thanksgiving with a special feast snack. To help with the celebration, the room mothers may be asked to help set up the snack. This is not a party for all parents to attend. We ask that each child bring in a specific food item. Look for the feast sign-up sheet located outside each classroom. This is an exciting event for the children! The shop will be open December 3rd – 7th. All children will have the opportunity during school to do some Christmas shopping for their family, grandparents, and other loved ones. There are many volunteer opportunities available! Check your email for a link to sign up on line or sign up in the Robin’s Nest hallway. All proceeds from the Santa Shop help keep our classroom equipment and curriculum current and new. Watch your child’s backpack for more information. The Robin’s Nest PAC is excited to present Breakfast with Santa on Saturday, December 8h at 9:00 a.m. in the multi-purpose room. Breakfast buffet includes pancakes, eggs, bacon, and choice of beverage – orange juice, milk, or coffee. Your child will have an opportunity to visit with Santa so bring your camera! Advance reservations are required. Tickets are $10.00 on sale beginning Monday, November 5th in the school office (children under two are free, but must share a seat). A big Thank You to our new Community Partners Kemp Stucco LLC, James and Leigh Ann Sarantopoulos and Makenzie’s Grandma did it again and partnered with the Robin’s Nest Music Program! Thank you so much for your program adoptions. It’s never too late to adopt your child’s classroom! 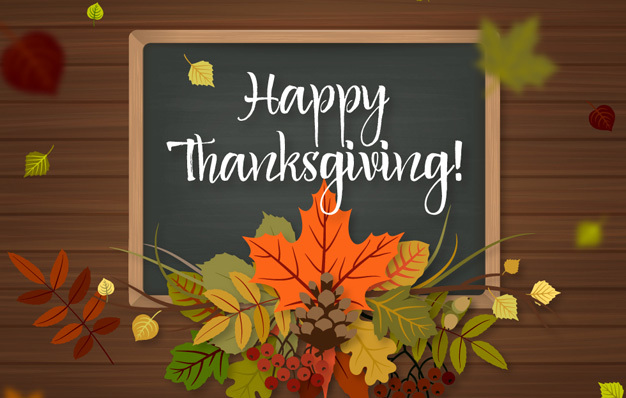 Nov. 19 – 23 School closed – Happy Thanksgiving! Dec. 8 Breakfast with Santa @ 9:00 a.m.